The title of this book is a form of understatement. If it actually provides some guidance about training people to Scrum, this book contains actually a complete step by step course to teach Scrum that you could use “as is”. The initial chapter discusses the training approach used for the course and provides some considerations on how to perform a training course. 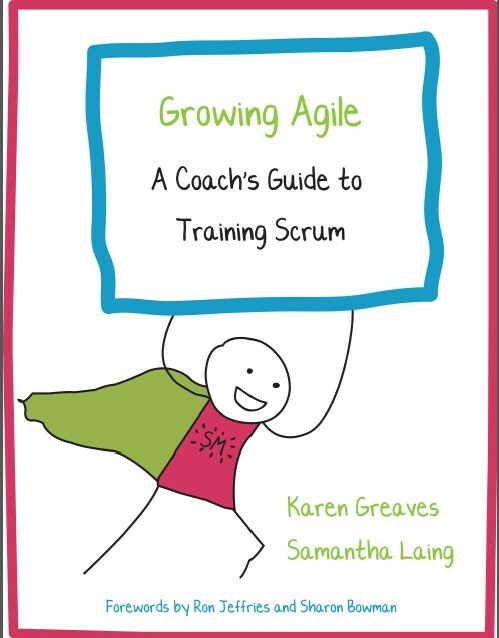 The following chapters cover Scrum topics (product backlog, backlog grooming, etc…) with a training plan, slides used for the topic, workbook pages and exercises used for the topic. One of the strong points of the book is the material contained in the associated web site where you can download training plans, quiz questions, feedback forms and other templates. I naturally recommend this book to every person that is responsible to train people about Scrum and Agile in their organizations, but I think that the material and the concepts presented in this book and its companion web site will be very useful to anyone who has to train, manage and improve a software project team, whether you follow a Scrum approach or a more traditional project management approach. Part of the ScrumMaster role is to ensure that everyone in their organisation is educated about Scrum. Over the last few years we have come across many ScrumMasters who have great intentions of running training. Unfortunately they get bogged down in the preparation and don’t ever get round to delivering the training. That was the inspiration behind this book. We have trained in a variety of venues around the world, including a computer training centre and a bar! Room layout can have a significant impact on your training. Our preferred room layout is cabaret style. i.e. small round tables seating groups of five to seven comfortably. The room should be large enough to have open space for some of the games. We look for a room with dimensions 7m x 9m for 20 people, with four tables. Ideally the tables should be small enough (around 1.5m–2m diameter) that people can easily talk to everyone at the table, but still have place for everyone to take notes.